The National Endowment for the Arts is helping fund the production of a play about going back in time to kill Christopher Columbus. The agency recently awarded $10,000 to the Borderlands Theater, which views people living near or on the U.S. border as "citizens of the world," for the production entitled "Shooting Columbus." "A collaborative effort between Indigenous and non-Indigenous Arizona artists will combine elements from interviews with tribal elders and community members with movement, media, and traditional theater for a site-based, immersive, interactive performance," according to a grant for the project. "The guest artists are members of the Shooting Columbus Collective, a group of artists of diverse ethnic backgrounds." The theater group offers this synopsis for the play: "If Indigenous Scientists built a time machine and traveled back to assassinate Columbus, how would life be different?" The play's premise is similar to the common paradox that asks if you would travel back in time to kill Adolf Hitler. 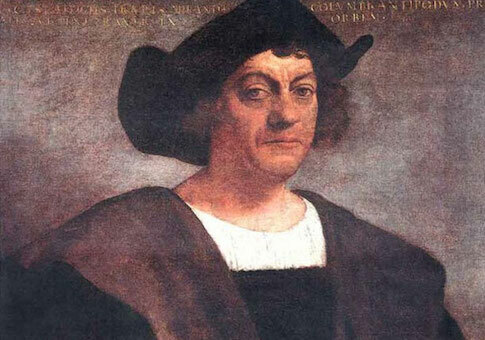 Columbus discovered America, while Hitler killed more than six million Jews. The Italian explorer is credited with discovering America. Though others had come before him, his four voyages beginning in 1492 opened the door for European exploration and colonization of America. The "Shooting Columbus Collective" says it works on art dealing with "issues of sovereignty, border and environmental issues, and sustaining tribal culture, identity, and well-being." The Borderlands Theater, which will premiere the play in March 2017, focuses its art on issues along the southern border with Mexico. "Borderlands Theater is a professional theater company recognized nationally and internationally for the development and production of theater and educational programs that reflect the diverse voices of the U.S./ Mexico border region," according to the theater's website. "Although focusing on the Latino/Chicano/Mexicano voice as the core voice to nurture and support, Borderlands works interactively with all voices of the region." "The ‘border,' both as physical and social landscape, is a metaphor for Borderlands' work," the theater continued. "The metaphor allows, invites, and even demands, both a regional and an international understanding of what it represents." "Border people, in the best sense of the word, are citizens of the world," the theater said. A description of the "Shooting Columbus" play on the Borderland Theater website asks, "How would your life be different if Christopher Columbus had been assassinated?" "Shooting Columbus is an immersive site-specific performance examining the consequences of time travel and the current resistance of Native people in the face of continual oppression by the United States government," the theater said. The play wants to encourage discussion about a "radically different" future for the United States. "Created and devised by Fifth World Collective, a group of Indigenous and non-Indigenous artists from the state of Arizona, the show presents poetic imaginings of a radically different past to foster dialogue about a radically different future," the theater said. In a statement to the Free Beacon, a spokesperson said the NEA stands behind the grant. Update 1:02 P.M.: This post has been updated to reflect comment from the NEA.